New Orleans is one of the oldest cities in the United States, with deep roots from countries, continents, and cultures from all around the world. In 2018, New Orleans will turn 300 years old, and millions are expected to flock to the city throughout the year to join in the New Orleans Tricentennial celebration. After being established in 1718 by French settler Jean-Baptiste Le Moyne, New Orleans has traded hands among the French, Spanish, and, eventually, the United States with the signing of the Louisiana Purchase. The tricentennial is a yearlong celebration of this rich history, the culture that makes New Orleans so special, and the people who helped shape it along the way. Because there are too many events to count, here is a list of activities that take place in late 2017 and early 2018 as the city braces for this historic milestone. Thousands of visitors line the downtown riverbank to celebrate the new year. 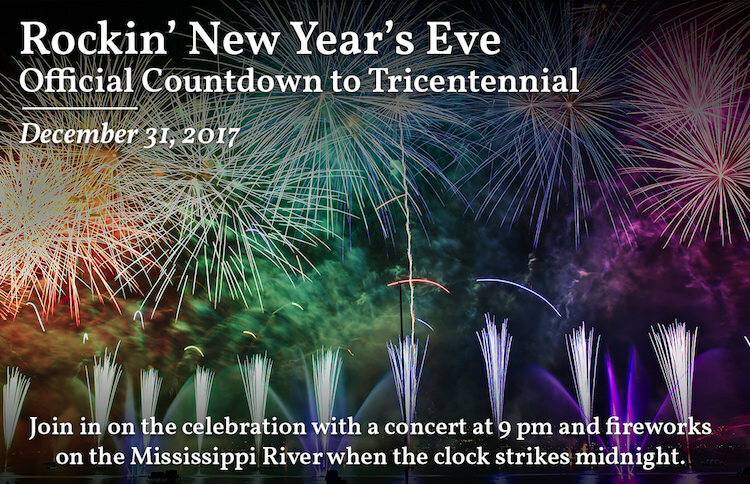 Join in on the celebration with a concert at 9 pm and fireworks on the Mississippi River when the clock strikes midnight. Mardi Gras isn't just a day, it's a whole season. Every year, the season of Mardi Gras starts on King's Day, January 6th, and lasts until Fat Tuesday. 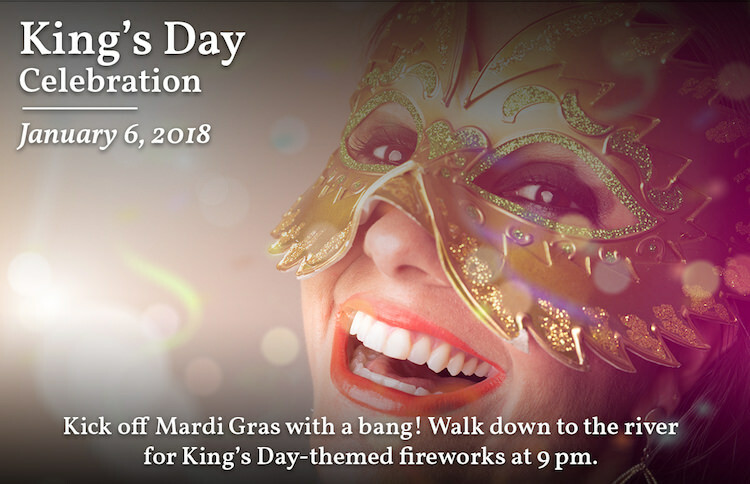 Kick off Mardi Gras with a bang and walk down to the river for King’s Day-themed fireworks at 9 pm. Martin Luther King Jr. impacted millions of people in the United States and throughout the globe. 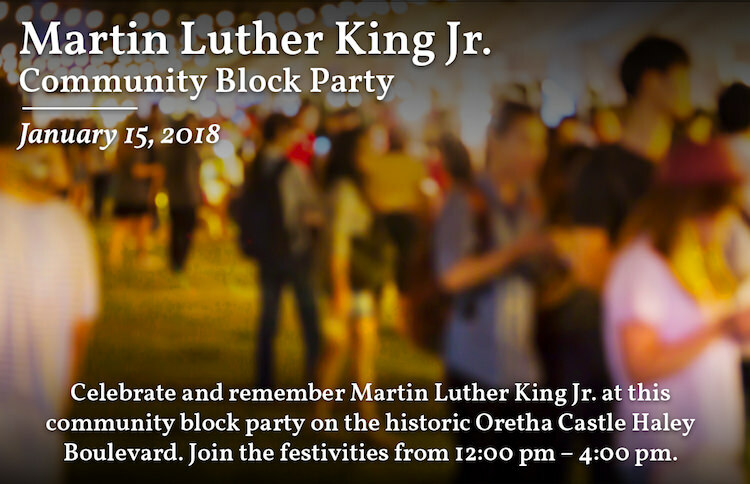 Celebrate and remember Martin Luther King Jr. at this community block party on the historic Oretha Castle Haley Boulevard. Join the festivities from 12:00 pm – 4:00 pm. 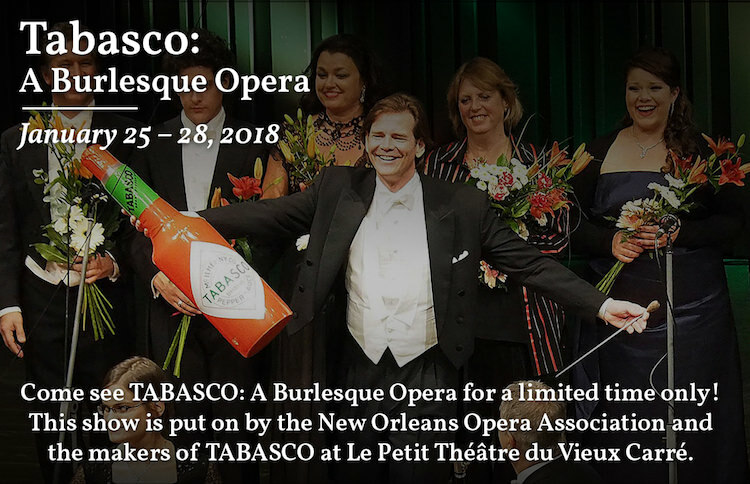 For its 150th anniversary, McIlhenny Company, the makers of TABASCO® Sauce, will restage TABASCO: A Burlesque Opera. This historic opera was last heard in New Orleans in 1894. 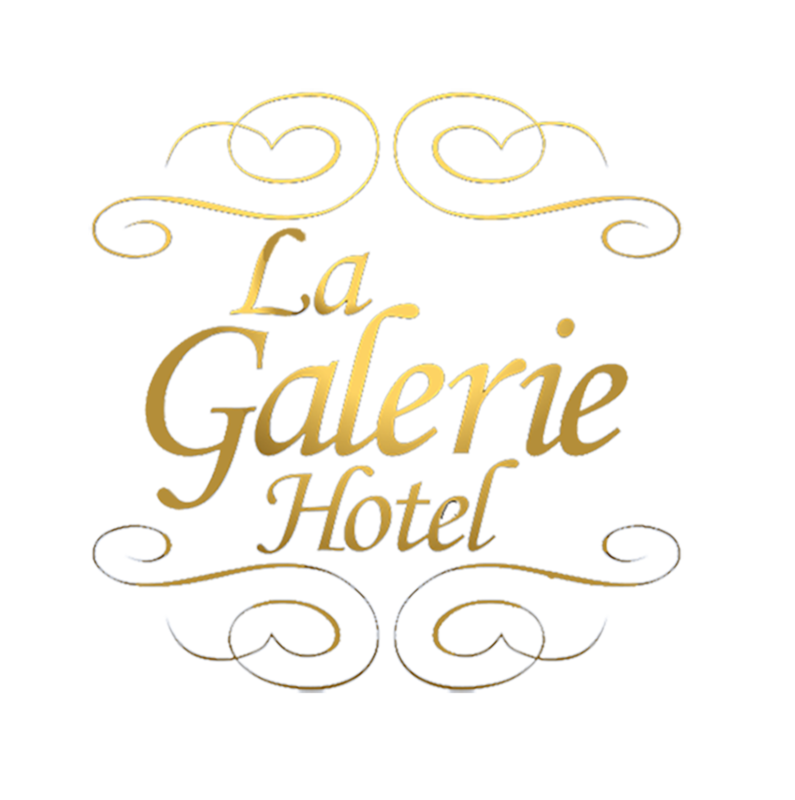 The limited showing is produced by the New Orleans Opera Association and will feature guest conductor Paul Mauffray at Le Petit Théâtre du Vieux Carré. Tango Fire brings a broadway-style show down to the heart of New Orleans. With ten dancers and a quartet of musicians, Tango Fire is sure to be an exciting night out. 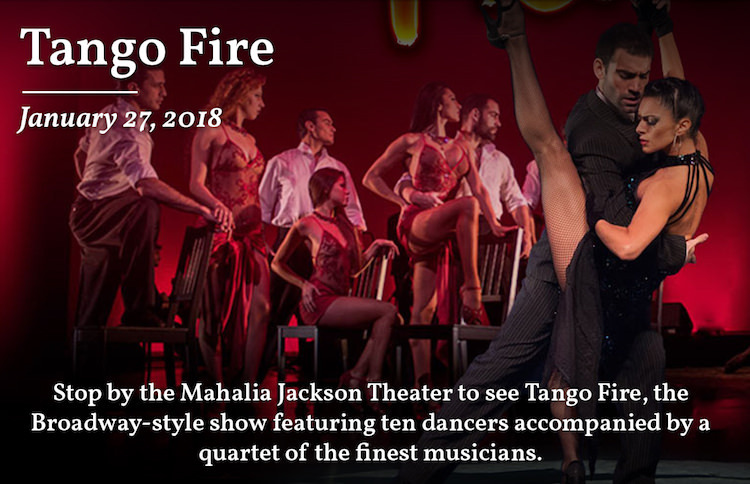 Featuring world champion tango couples from Buenos Aires and directed by international superstar German Cornejo, Tango Fire is a must-see show. 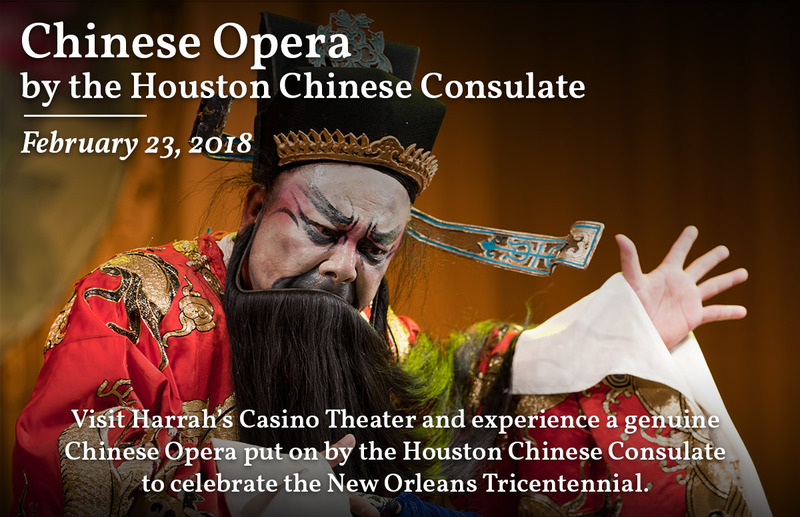 Harrah’s Casino Theater is proud to host a genuine Chinese opera put on by the Houston Chinese Consulate. The Chinese Opera will be an elaborate display of costumes and drama that is sure to astound the audience.